It's time for this weeks Memory Lane and this time round, we let you decide which boot you wanted us to take a look at. The people have spoken and it was the Adidas Predator Powerswerve, that we brought out from the good old boot collection. 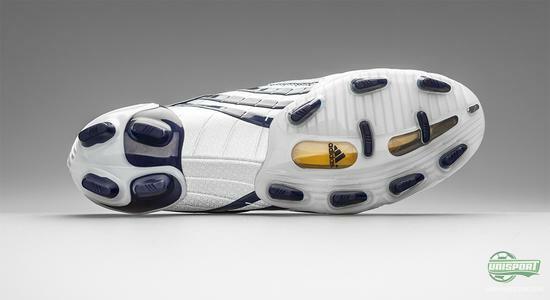 The first time we saw it was in 2008 and it left an impression so big, that we still look back on the cool boot-tongue, Swerve-zone and much more with very fond memories. 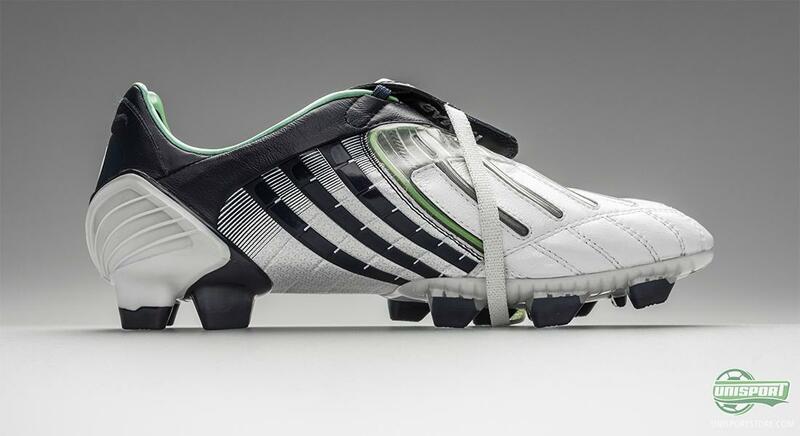 The Predator-collection remains one of the biggest phenomenons on the boot market, already when we looked at the earliest models, like the Mania, Rapier and Accelerator, it was very clear; that this boot had come to stay. Its hallmark was Power, with the ability to change the run of play in an instant. The piledrive, long range pass, or perfect tackle. 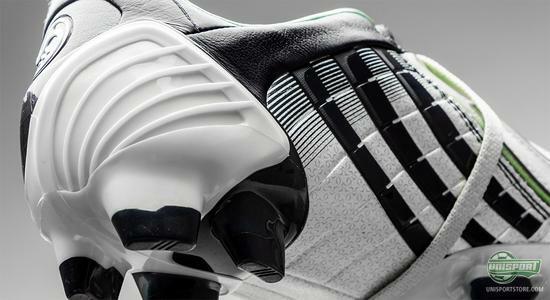 An always ascending development, that peaked in 2008, when Adidas launched the ninth generation: Powerswerve. 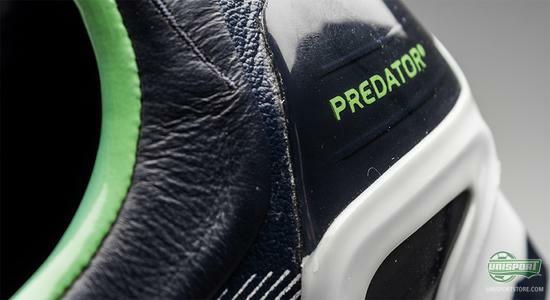 Not to diminish the value of Predator X, Adipower or Lethal Zones, but many will look back in retrospect and feel, the Powerswerve was the last real Predator. Football was a very different game 5 years ago, where physical strength and general power were the name of the game, so you can imagen players like Steven Gerrard, Michael Ballack, Zinedine Zidane and of course David Beckham, who were at the pinnacle of their careers, all thrived in this environment. Many will probably remember David Beckham's fantastic freekicks, that left goalkeepers without chance and prompted legendary commentary, like Martin Tyler's: It's a curler, it's a swirler, it's an absolute pearler. The grip and power he got on his freekicks and shots where partly down to the Swerve-zone, that was situated on the top of the instep. It was produced from a material, that Adidas called Smartfoam, which gave a massive rebound effect. This meant, that you were in contact with the ball for longer , which gave you more time to influence the ball's direction and thus improving your accuracy. Shooting capabilities was a massive part of the Adidas Predator Powerswerve and this brings me to another part of the boot, that made this the last true Predator; The tongue. 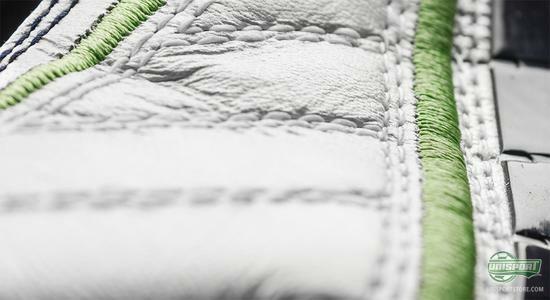 An icon rather than a feature, is what the tongue is these days, but it's not entirely without function either. 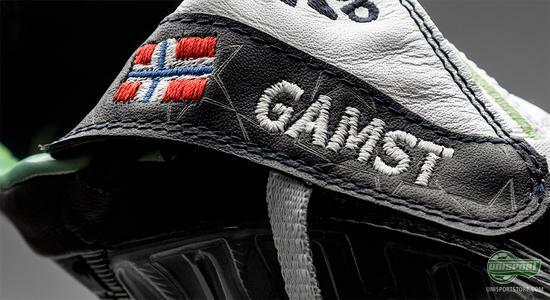 It covered the boots lacing and gave the wearer an extremely large and clean striking surface. 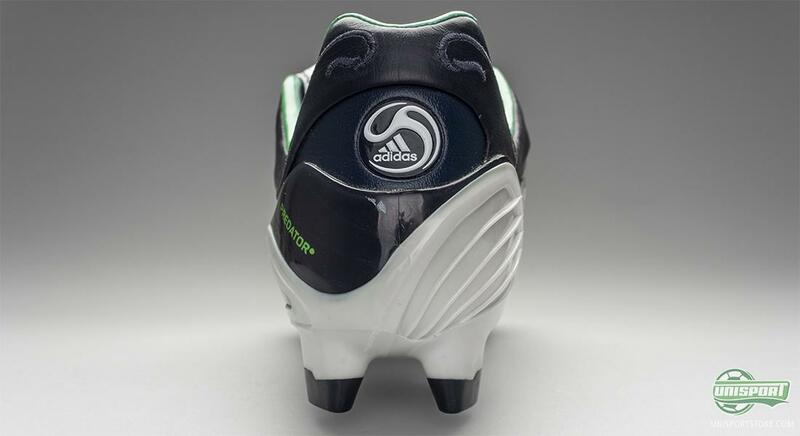 For the nose of the boot Adidas used a kangaroo-leather upper, which made it super soft and gave you a fantastic touch on the ball, as well as sensational comfort, once the boot was broken in. There was however also produced a microfibre version of the Adidas Predator Powerswerve and this was at the request of Mr. Predator; David Beckham. 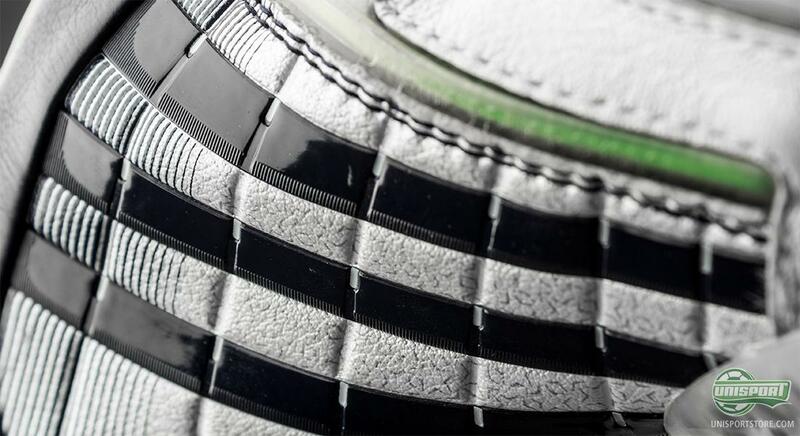 He was fundamentally against the use of animal skin on football boots and that's why his exclusive colourway was always made with Microfibre. 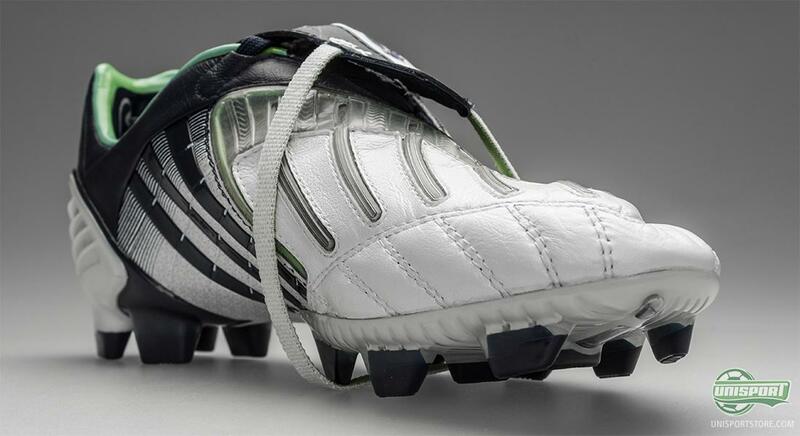 From the midfoot, to the heel, all the boots were made with microfibre, not just Beckham's, and this is actually a concept we still see used today, a recent example being the Adidas Adipure 11Pro. 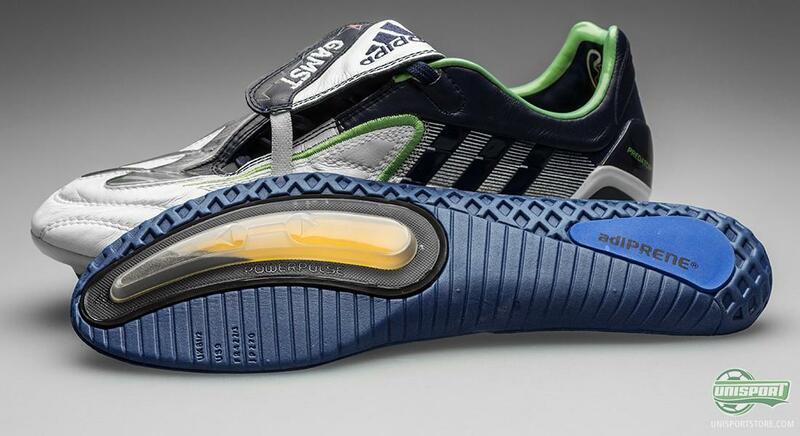 On the back of the boot, they opted to use an external heel-counter, that follows the foots natural movement while running, as well as, it giving optimal protection to one of the foots most vulnerable areas. This could be largely down to the recommendations of Zinedine Zidane, as he had a tight-nit relationship with Adidas and thus had a big influence on the production of the Predator Powerswerve. 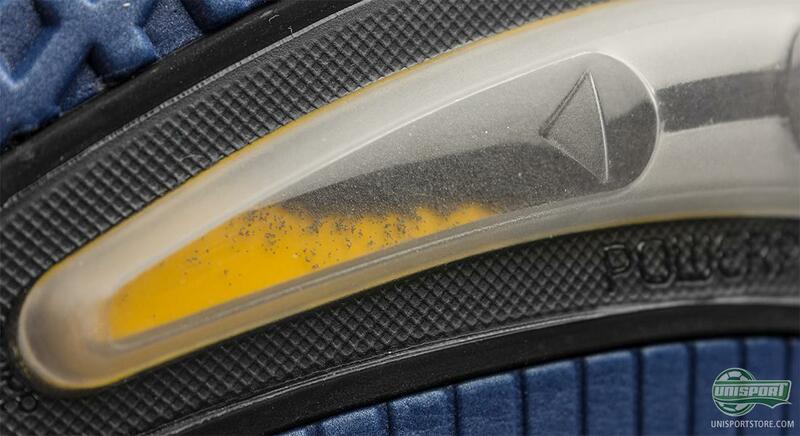 He even continued his combined effort with Adidas, after he retired from football and has therefore also been involved in the development of the later Predators. 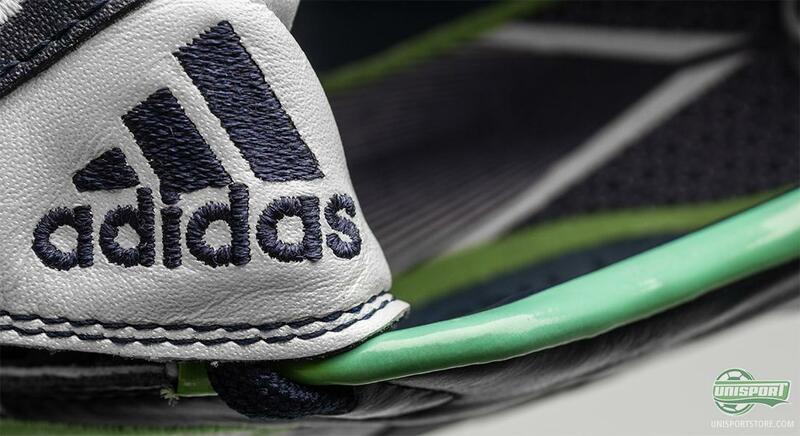 The immediate follow-up; Predator X, is however not one he gets many compliments on, so let's just make Adidas responsible for that one, and credit Zizou with the Powerswerve. 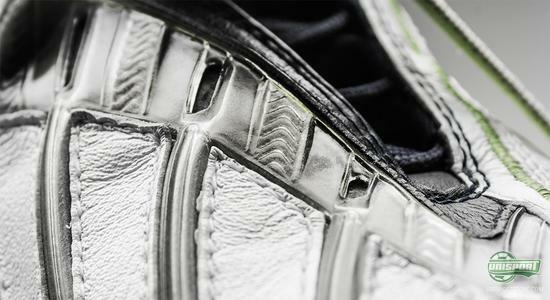 On the bottom of the boot it had been fitted with the Traxion stud-configuration, which was based on bladed studs. If the name sounds familiar, then it's because this was the predecessor to Traxion 2.0, that we know and love from the F50 Adizero. 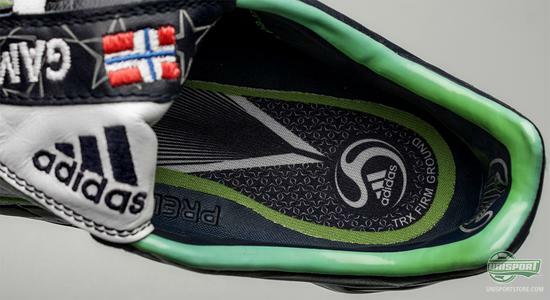 The original stud-configuration gave exceptionally good grip and was actually so good, that Robin Van Persie, even today, can't let it go. The few games he has played in his Predator LZ have been in a custom model, with the first Traxion stud-system. It is however still, what hides in the sole, that stands out most vividly in our memory. 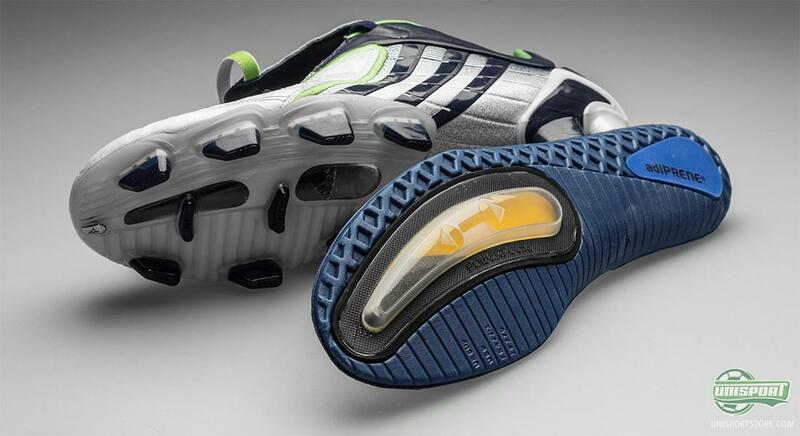 This is were Adidas found room for a insole with their so called Dynamic PowerPulse-technology. Thanks to a hollowed out area in the outer-sole, there was made room for a little chamber, which was half filled with wolfram. 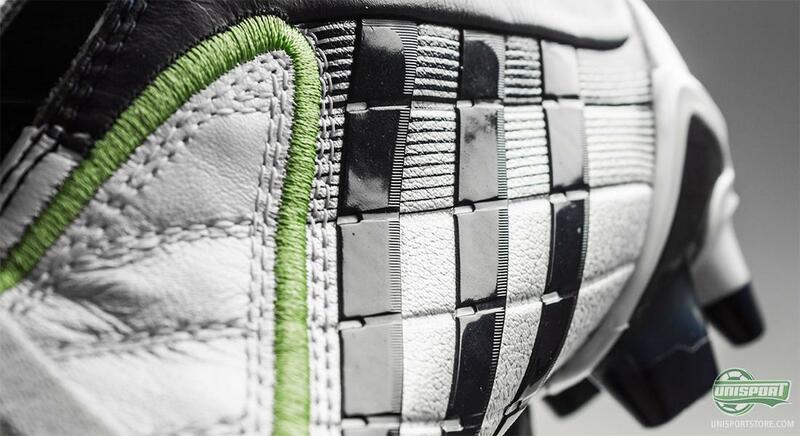 The added mass and weight, moves in conjunction with your kick and therefore gives extra power to your strike, as well as it looking cooler than anything, ever fitted on a football boot, ever. 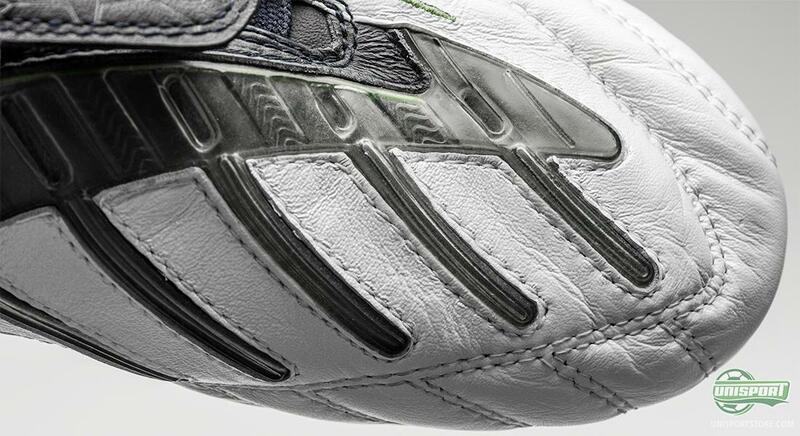 Adidas Predator Powerswerve has a few years on its back, but this is a boot that ages like wine, and it's never been clearer in our mind; It was a thorough boot, that was true to its concept and delivered in all the right places. It gave you power, high comfort, touch and protection, that it also had the classic elasticated-tongue, only improves the overall impression. Since then the predator-collection has come a long way and today you can't even get one with a leather upper. 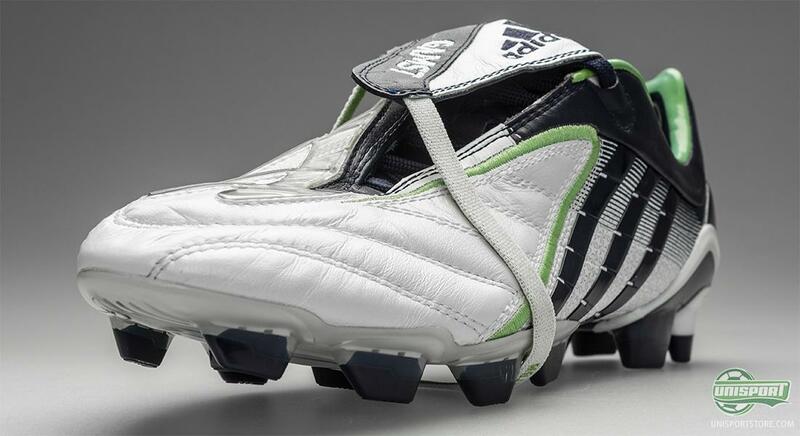 The newer version have, however, borrowed so many features from the older Predators, and wouldn't be half the boots if not for the Adidas Predator Powerswerve. We would in the meantime, love to hear how you remember it- do you have a pair? 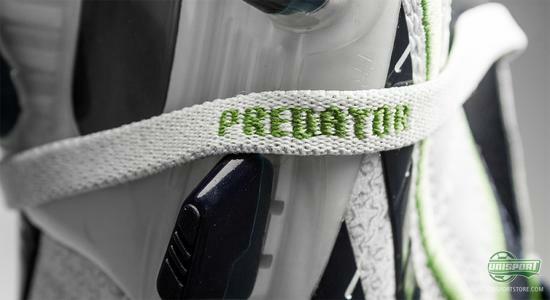 What do you think of the development in the predator-collection? Share your thoughts in the comment-section down below.